How VIOLET GREY’s Beauty Director went from fearing cannabinoids to slathering them all over her body. Let me just preface by saying that, when I was told CBD skin care was a thing, I was terrified to try it. Brands kept assuring me that there was no THC in their formulas, but I didn’t care. Marijuana makes me paranoid for a minimum of two days, and I need to be in control of my own body. Let’s rewind a little. Circa 2006, I vividly remember smoking out of an apple during my senior year of high school, and immediately after taking a hit, I hopped in my car and drove home at 10 miles per hour (the speed limit was 40 mph). I ran into my bedroom when I got home and sat with my knees tucked into my chest, trying to convince myself to fall asleep so that I could feel normal again and make sure my mom never found out that I got high. Somehow, I managed both. And to my mom, who is learning about this for the first time from a VIOLET GREY email: I’m so sorry—please don’t ground me. That was the end of my career as a teenage stoner, but in my career as a beauty editor, I couldn’t avoid cannabis. 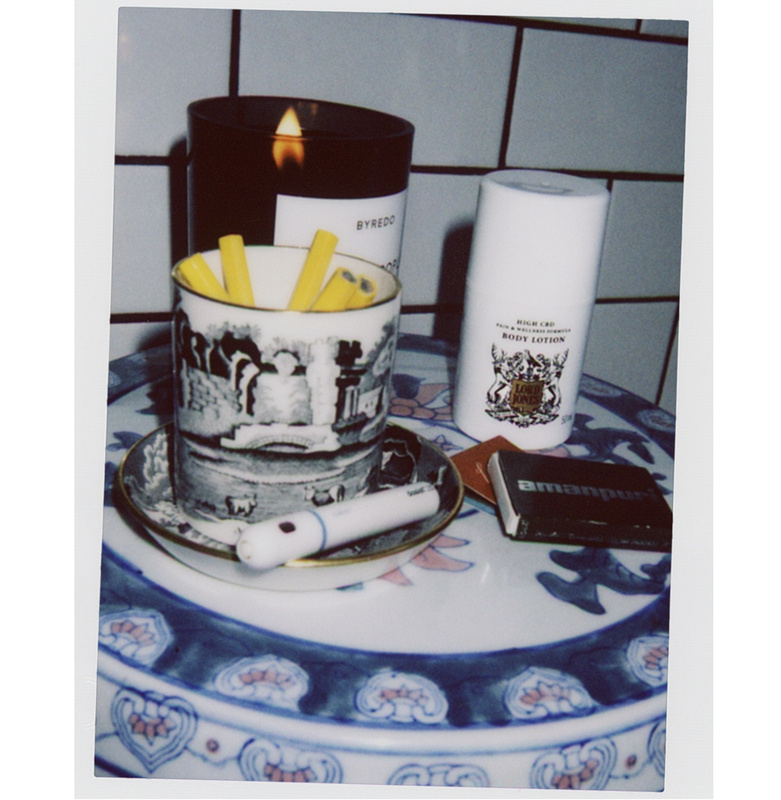 Particularly when VIOLET GREY decided to launch a wellness curation. CBD oil is white-hot, and it was imperative that our edit include the potent botanical. I set my fears aside and got to testing in order to find a CBD product worthy of VIOLET CODE approval. The winner? 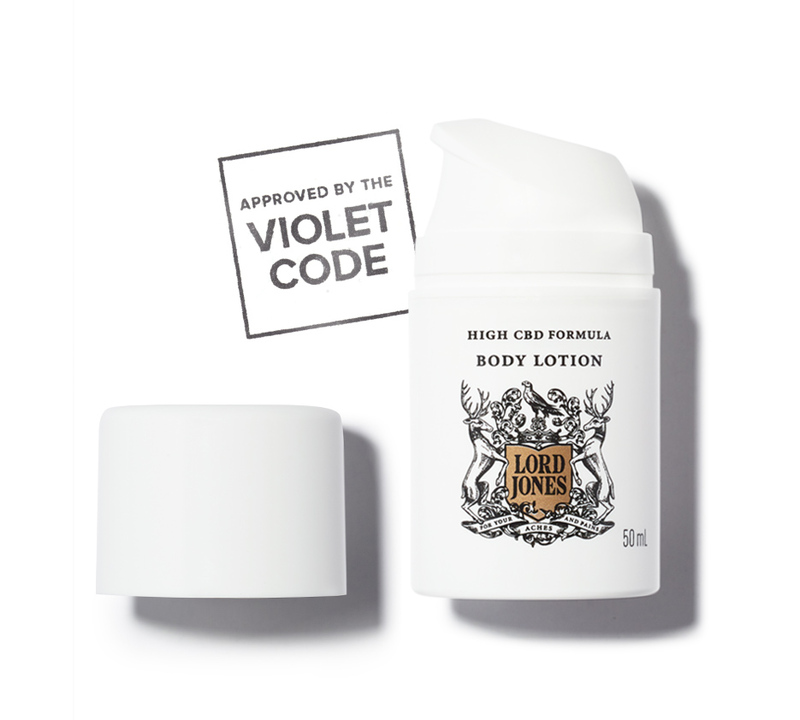 Lord Jones High CBD Pain & Wellness Body Lotion. When I first sniffed the hemp-derived, non-psychoactive formula the signature scent, it reminded me of green juice with a hint of college dorm room. But in a good way—I truly enjoyed the subtle fragrance. I rubbed the cream onto my stomach where I had been experiencing some pretty bad pain from a recent IUD insertion. Then, I paused to see if there were any bad out-of-body side effects. Nope. But within five minutes, the pain had subsided. I was shocked, excited, and thrilled. I became a CBD cream convert on the spot. On a natural high from my new love and appreciation of CBD, I decided to try a new 30-minute treatment at The Spa at Solage, Auberge Resorts Collection, in Calistoga, which utilizes the cannabinoid to heal inflammation and soothe the skin. Read on for the Solage CBD protocol. The aesthetician who conducted my treatment began by cleansing my face. Then, she moved onto my wrists, hands, and fingers and performed a gentle exfoliation with a blend of granulated white sugar, green tea, matcha, coconut oil, safflower oil, and CBD concentrate to remove any dead skin cells. After the scrub, she applied a CBD balm on my arms and hands and wrapped them in hand warmers. While the CBD sank into my hands, the aesthetician used a green tea clay mask (also containing CBD) to draw out impurities and toxins, heal blemishes, tighten pores, and create a firmer, smoother complexion. Once the mask had been dried and removed, she massaged in a antioxidant-packed CBD face serum to repair the skin and minimize the appearance of wrinkles, age spots, and fine lines. Finally, she removed the hand warmers and and massaged my hands and forearms with a CBD balm. This was my first experience using CBD on my face and the afterglow was pretty remarkable. Lately, my skin has been pretty reactive; but the treatment really helped fade any inflammation or redness. Needless to say, I no longer have a fear of CBD. Instead, I slather it all over my body.